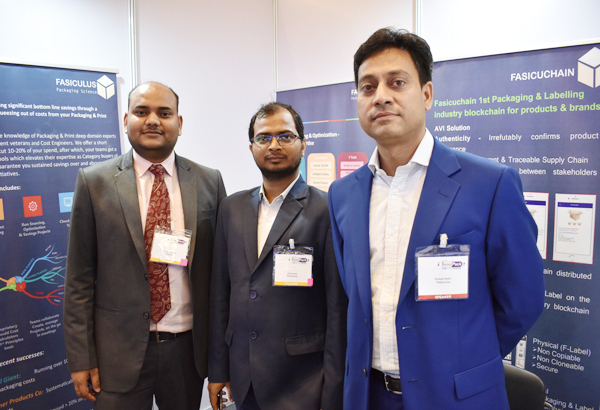 At the recently concluded InnoPack F&B 2019 Confex in Gurugram, Enayet Kabir of Fasiculus gave an interesting presentation on Optimized Print and Pack Along With Track & Trace Solutions. The company had also a stand at the confex. “Our objective of participating in Innopack was to meet the F&B brands and understand the challenges they are facing with respect to packaging. We met some leaders in this space as well as brands which are in their growth phase. Our solutions excited the industry and we hope to contribute to the industry in a significant manner in the near future,” said Kabir. Print and Packaging optimization: “Long term consulting engagements in order to achieve systematic, sustained, squeezing out of costs from the print and packaging spend of our clients. Our focus on intelligent sourcing and cost savings is supported by a stack of cloud-based tools – cost calculators across various products, project management tools, MIS and dashboards. Our company founded by the coming together of packaging and printing technologists, supply chain and manufacturing veterans, procurement and deep financial analysis experts and coders. We do not have any direct printing or packaging operations but have been providing technology, equipment and consumables to the industry for decades giving us unparalleled insights. We also have team members who have relentlessly removed costs from products and packaging year on year for some of the most efficient companies in the world,” said Kabir. Fasicuchain 1st packaging and labeling industry blockchain for products and brands: Fasicuchain provides innovative authentication, identification and tracking technologies. “We have been a trusted technology provider to governments, institutions and industry. Fasicuchain focuses on industries including consumers, pharma, wines and spirits, food, cosmetics and components among others,” he said. Speaking about the market, Kabir said, “Both our offerings, Fasiculus and Fasicuchain have been extremely well received in the MENA, GCC and Indian subcontinent. Some of our esteemed customers include: multi-billion dollar grocery retailer in MENA region; multi-billion dollar fashion and home retailer in GCC region; top 20 generics pharmaceutical manufacturer in India; and one of the largest tractor manufacturers in India.” Kabir added that the market challenge at this point of time is industries’ readiness to a new technology like block-chain.